I’ve always had a lovely relationship with my dad but we’ve become closer over the last year or so. During this time, he has taught me to use a drill, put up shelves and change the oil and water in my car. I’ve cried on his shoulder and asked for more help than during the rest of my entire life put together. And he’s always there. He is the constant, much needed and utterly adored male role model in my children’s lives. We’re similar in many ways. We share the same romantic nature and the ability to cry at everything and nothing. We have the same shaped legs and love dandelion and burdock. He is warm, welcoming and gentle and thankfully, in this family, has the ability to laugh at himself. He loves my mum as much as the day he married her and he dotes on his five grandchildren. And I know with utter certainty that I am his favourite daughter, a fact my two brothers cannot dispute. He is a wonderful listener and a peacekeeper and is the best dad a girl could wish for. 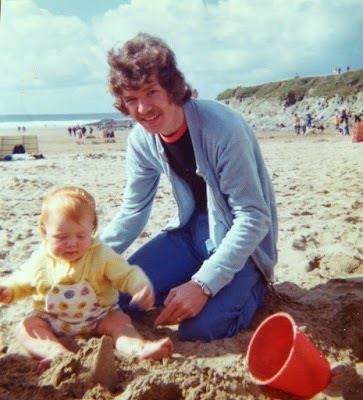 Here we are 41 summers ago, on my first holiday when I was nine months old. This was just two summers ago, taken at my cousin’s wedding. We danced together to a live band. I’ll never forget it. He is always keen and willing to join in any kind of sporting activity. 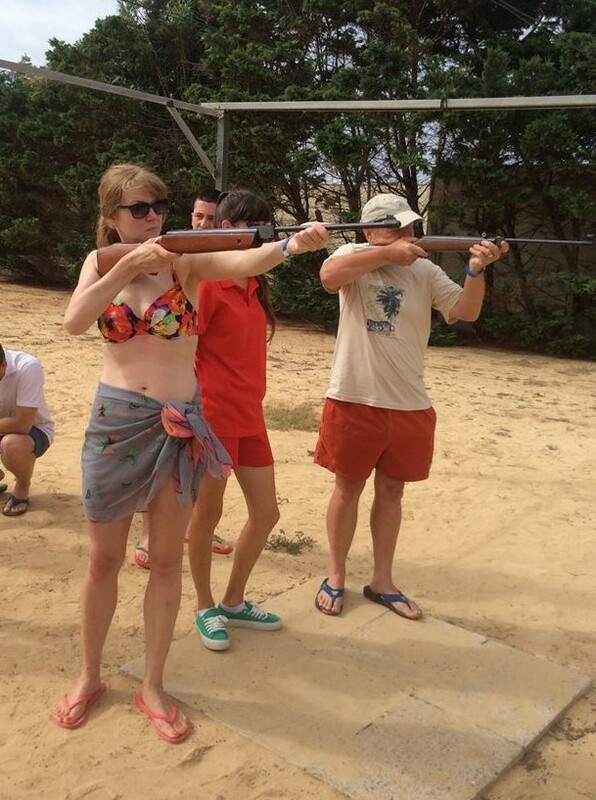 We went target shooting last summer when on holiday in Porto Santo. I’m certain I beat him. And this photograph was taken less than a week ago when we went out to lunch looking rather less hirsute than he did on the first photograph.